I finished my 2018 theatrical year with an amateur dramatic performance at Theatr Clwyd and that’s exactly how I’ve started this year! Murdered to Death is an Agatha Christie style spoof. 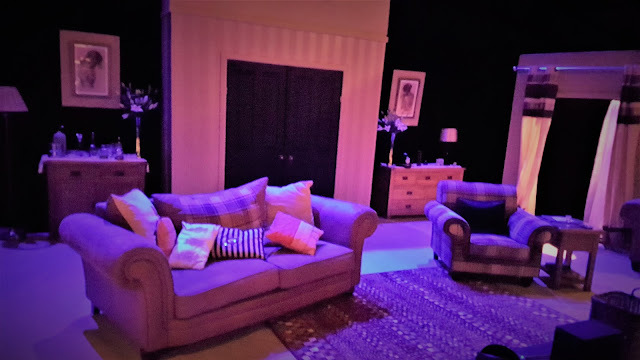 Set in the sitting room of a 1930’s country manor house, the owner, Mildred, is the murdered hostess who had gathered together an assembled cast of rather dubious characters for her weekend dinner party! Bunting, the aged butler, would rather be knocking back the best sherry rather than opening doors for visitors; the “bally” English colonel Charles Craddock with the quintessential stiff upper lip; his long-suffering wife; Pierre, the untrustworthy art dealer with the dubious moustache and French accent to match; and the aristocratic lady he “met” on the train. Of course, no Agatha Christie type tale could be told without a meddlesome amateur sleuth turning up. Enter Miss Maple…with her bag of knitting…just keeping an eye on events as they unfurl… ever ready to help the hapless Inspector Pratt and his bungling bobby sidekick! Performed by the ever popular Pheonix Theatre Company, a small and award winning Mold drama group, Murdered to Death is a classically light-hearted romp through the detective genre. There are shocks and belly laughs along the way until the murderer is finally unmasked. Whilst highbrow theatre is all well and good, sometimes it’s nice to just be entertained, and on a dark, cold, wet night, that is just what this cast did!